Chile is an excellent source of beta carotene, foliate, potassium, and vitamin E and is a very powerful decongestant. 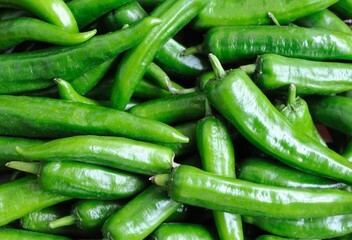 Chile helps to burn calories by increasing the metabolic rate. Chile contains very high amounts of vitamin C, especially when raw. The later the chile is harvested, the higher the vitamin C content. Chile is great for low sodium diets. Chile battles high cholesterol! Cholesterol is absorbed through "plant tissue. "Chile plus starch provides necessary fiber without the added calories. 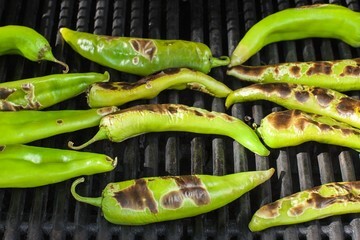 Chile dishes are now being eaten in every region of the United States and more people discover the taste and benefits of chile each day. Chile can be used in almost any meal imaginable: Pizza, Quiche, Stroganoff, salads, drinks, salsa, sauce, stew, roasts, casseroles, veggies, dressings, even candies and desserts!